Enterprise tomography is an interdisciplinary approach for an efficient application lifecycle management of enterprise platforms and very large business applications (VLBA). Enterprise tomography semiautomatically identifies and localizes semantic integration concepts and visualizes integration ontologies in semantic genres. Especially delta determination of integration concepts is performed in dimension space and time. 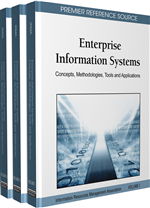 Enterprise tomography supports software and data comprehension. SMEs, large scaled development organizations and maintenance organizations can benefit from this new approach. This methodology is useful for tracking database changes of business processes or coding changes within a specific domain. In this way root cause analysis is supported.